This week we’re all about pats on the back, hands behind the back and fishing some sweet backwaters. Congratulations first off to Tom Adams of the Ocean State Kayak Anglers Association who earned first place in the Why Knot Albie Shootout. Fishing was tough as a railroad spike apparently but Tom kept at it and took home a pile of prizes. The albie bite has been hot then it was not then it was then Florence happened. Despite all that, Captains Ray Stachelek of Cast A Fly Charters and Rene Letourneau of On The Rocks Charters took a few California boys dreaming about stripers and albies on a three day tour. The sports worked hard for their fish but the captains knew where to find both and everyone steamed home smiling. Fall in Rhode Island can be pure magic. A huge tip of the camo hat to RIDEM Law Enforcement Officers Jeff Mercer and Anthony Esposito for surveilling and citing Warren fisherman Michael A. Saviano. Mr. Saviano was caught on the seventeenth with thirteen striped bass when he slipped into Pt. Judith. That’s twelve fish over the legal daily limit (!) and not that it really matters in the face of such a gross crime against the fishery, no right pectoral fins were removed, a regulation designed to keep recreationally caught stripers over 34” from being sold. 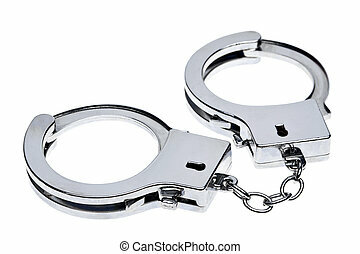 Another crime may be that current law doesn’t allow for charging him twelve times, once for each fish he stole from the fishery with additional charges for each pectoral violation. We fishermen can really get our Grundens in a knot arguing over proposed regulations but when this type of idiocy happens, the common cry is universal: hit ‘em hard and make ‘em pay. RIDEM Law Enforcement did a fantastic job and personally, I hope Mr. Saviano gets what’s left of his fifteen minutes in front of a judge who’s a fisherman, who has a saltwater license, who goes a’fishing with family and friends and feels what we feel. Cheers to all those who pound their fists on some skinny university desk on freezing cold winter nights to plead their case for fisheries management; we may not always agree on some details but we do agree that thieves like this guy have no business being on the water. Take the boat, take the rods, take the license. Let him visit a fish market to pay for some striper with the right pectoral fin removed. 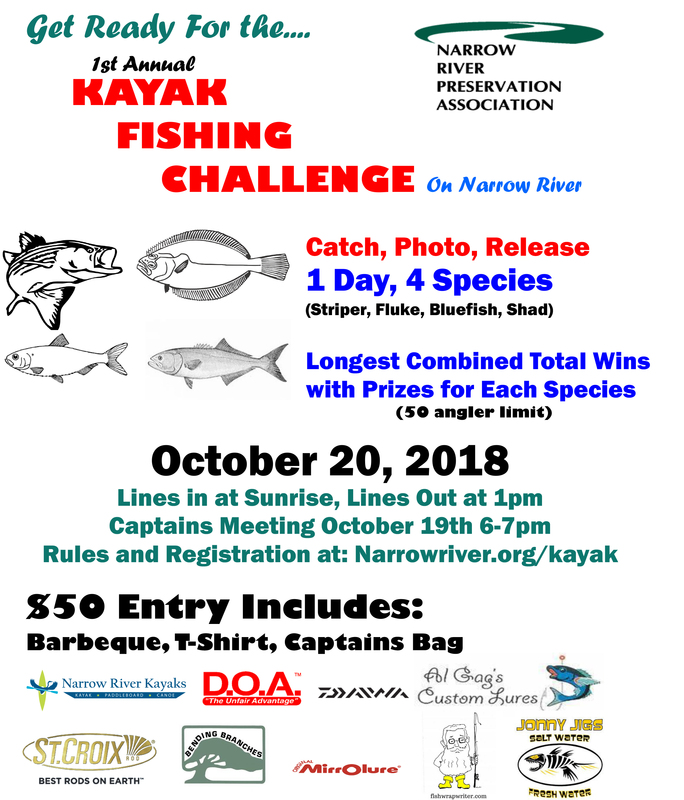 The Narrow River Preservation Association is hosting a fishing derby on October 20. Limited to just fifty anglers, it’s a four species event for fluke, stripers, bluefish and shad. This is a true kayak derby; no motors are allowed and anglers must catch all fish from their boats. Running the line between South Kingstown and Narragansett before spilling out into the sea just north of The Dunes Club, she’s more properly known as the Pettaquamscutt River. Either way, she’s a gem and this will be wonderful exposure for fishermen new to her lines and backwaters. The Narrow receives ten streams: three perennial, seven largely seasonal from North and South Kingstown and Narragansett. The main tributary is Gilbert Stuart Stream where, prior to a necessary moratorium, lots of folks dipped nets, taking buckies for bait, smokers and gardens. Tides play an important role in local abundance but mostly in lower reaches. It’s important to remember that tides in the Upper Pond can be four to six hours past printed predictions; overlooking that will cost you a long and tiring paddle if you’re headed in the opposite direction of Nature’s schedule. Fishing will be a fun challenge since you’ll need different setups to catch all four species. Stripers patrol right up into the coldest days and they’ve got a taste for those shad hiding near bridge abutments. Fluke will obviously be in those sandy stretches. Bluefish may be tough to find this late in the season but that’s all dependent on bait. I’d pack a few small blue and white or mackerel pattern poppers since that action will also sound attractive to bass. That fresh squid you’ll need for finding fluke will be a winner with other species as well. What’s more, given all this global warming hoax, there’s no telling what other species we might catch. There’s a captains meeting the prior night, t-shirts, some cool promotional gear and a cookout with awards when boats are beached. This tourney will afford people a long look at a pretty river while keeping the emphasis on catching and releasing to ensure healthy populations of fish throughout her length. You can register at the associations website, http://www.narrowriver.org. great read . never knew this existed .also had no clue of the tournament .this is the last place I fish before I either move to fish prov & east Prov . or as I age read more than fish . PS there are still some White Perch in N/R . not like many years past …..but no where is holding them like they use to thanks . Thanks Mike, thanks for the kind words. I love catching those white perch, it’s one of the only fish I’ll keep a few of these days. Thanks for reading, Mike.